Our offering of dog breed clocks is truly a special product line. 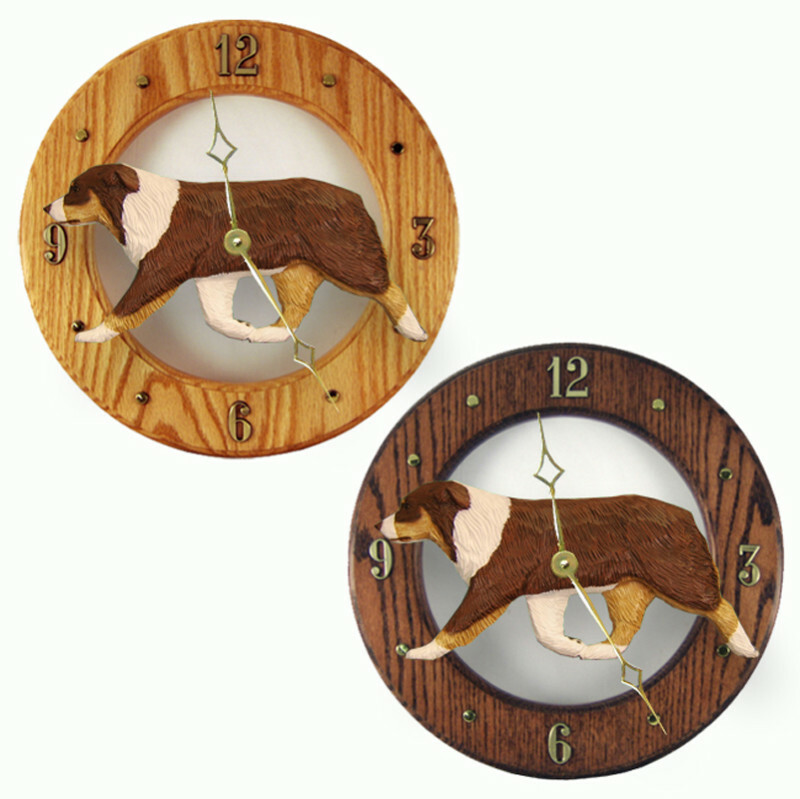 Each clock is made of solid oak and features a two dimensional resin dog figure. Each figure is molded from a hand carved wooden mold ensuring each figure re-creates a hand made wooden carved figurine. 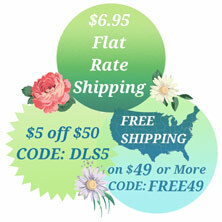 Enjoy the quality of these hand painted, molded, manufactured, assembled, and stained in the USA clocks. The clock's hands and numbers are gold plated and come with a Quartz clock. Our clocks require 1 AA battery. 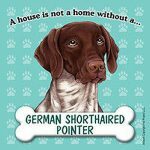 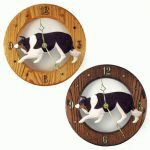 Perfect for the kitchen, living room, office, or any room in your home. 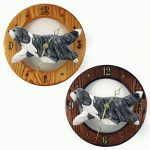 Each dog wall clock measures 12 3/4" in diameter X 3/4". Each clock is offered in a light or dark stain and hand signed by the artist. 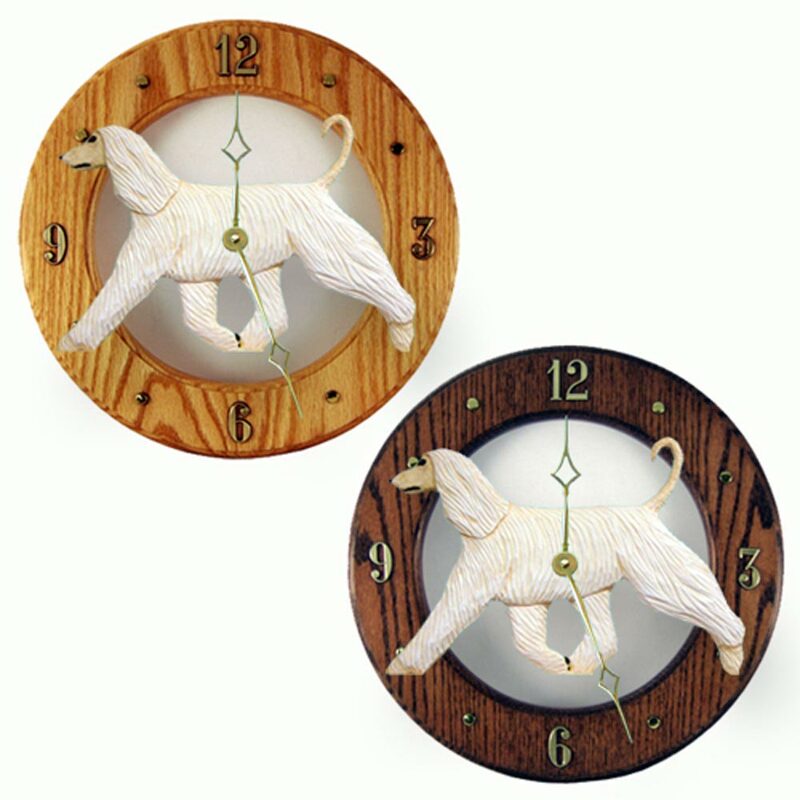 Each order includes instructions on how to maintain the clock. 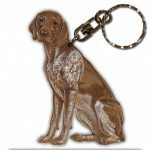 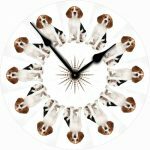 It is unlikely you will find a higher quality dog breed clock, these raise the bar!